Foxygen is essentially two high school friends who have recorded tunes in their bedrooms in California for close to a decade. The duo enlisted a few friends for some much talked about live shows driven by Sam France’s maniacal behaviour but have again stripped down to the duo of France and Jonathan Rado for their third album, … And Star Power. 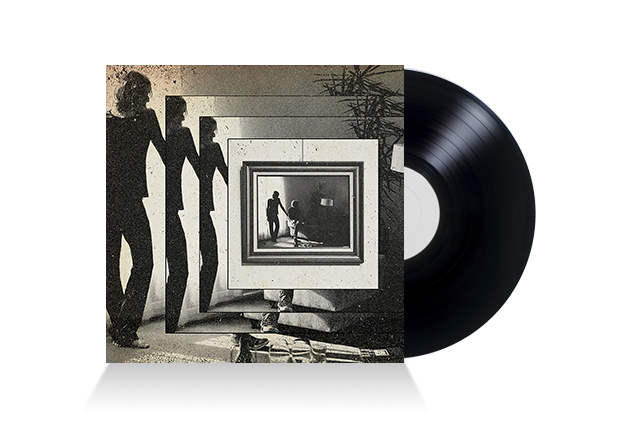 The double album is said to be a loose concept record based on a fictional band called Star Power but it is a story that is played out over a swag of psych folk meanderings. There is tape hiss aplenty during this retro collection that can be melodically rewarding one minute (Coulda Been My Love) and obtuse and directionless the next (I Don’t Have Anything). The jaunty pop nugget, How Can You Really, is the most straightforward that Foxygen get on this record, opting to hide the remainder of their better moments in guitar fuzz or lo-fi recording techniques. Foxygen hardly operate at breakneck speed at their most frenetic of times, but Cannibal Holocaust is treacle slow and all the better for it. …And Star Power is 24 songs long and clocks in at just under the 90-minute mark. Sure, it’s indulgent and at times unfocussed, but it is a fine soundtrack for those who like to wear flowers in their hair or spend time pondering in the herb garden. When Bob Dylan and members of the group who’d later become The Band holed up in a pink house in rural New York in 1966, they put down in excess of 100 songs. Yet when an album surfaced nine years later, it contained only 16 Dylan songs (as well as eight by The Band). So for the better part of 50 years, the question’s been: what of the rest of the material? 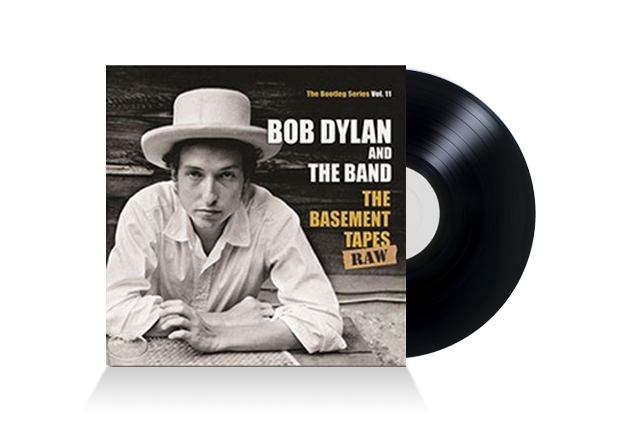 The Basement Tapes Raw answers that question and answers it comprehensively. For die-hard Dylanologists, there’s the whopping six-disc box set, which follows every second of the original 1966 recordings. Alternatively, there’s the slimmer, more manageable two-disc collection, presenting highlights from the sessions. As with much of Dylan’s Bootleg series, while the individual results sometimes vary, overall the venture is an absolutely worthwhile exercise. There’s a luminous version of I Shall Be Released, before The Band snatched it up and took it as their own. One Too Many Mornings is given an Americana overhaul, with Rick Danko joining Dylan on vocals. There’s even a jangling cover of Johnny Cash’s Folsom Prison Blues. And through all of it are Basement Tapes staples – This Wheel’s On Fire, Please Mrs Henry, Million Dollar Bash – restored to their rawer, more stripped-back original forms. A must for all Dylan fans. The Grates have accomplished a lot in their three-year musical absence. A marriage, a pregnancy and a cafe opening later, the band has come back kicking with fourth LP Dream Team. New drummer Ritchie Daniell in tow, Patience Hodgson and John Patterson have definitely made an entrance. Recorded in just six days, the artistic process of the album resembles the three Grates themselves – compact, punchy and full of emotion. 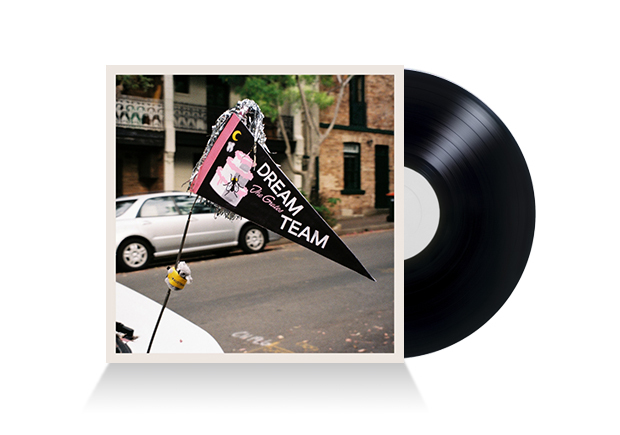 With tracks averaging two-and-a-half minutes in length and featuring sudden swaps between melody and Hodgson’s punkish shrieks, Dream Team holds that abrupt quality that tried and true Grates fans have come to know and love. Tracks like Holiday Home and Friends With Scum revel in youthful debauchery and pack just the right amount of attitude. However, calmer tracks like It Won’t Hurt Anymore and What’s Wrong With You are speckled throughout, and while pleasant, lull the pace. The Grates have not disappointed with their long-awaited return. If anything, one is left feeling that the album ends too quickly. Dream Team manages to encapsulate all The Grates have to offer – blending raw attitude and power with a professional and concise finish. Eight years after he redefined a genre with Person Pitch, Panda Bear has released Panda Bear Meets The Grim Reaper, an album which shows that in eight years the Animal Collective man’s approach to his solo material hasn’t changed that much at all. At least, not in the melody department. 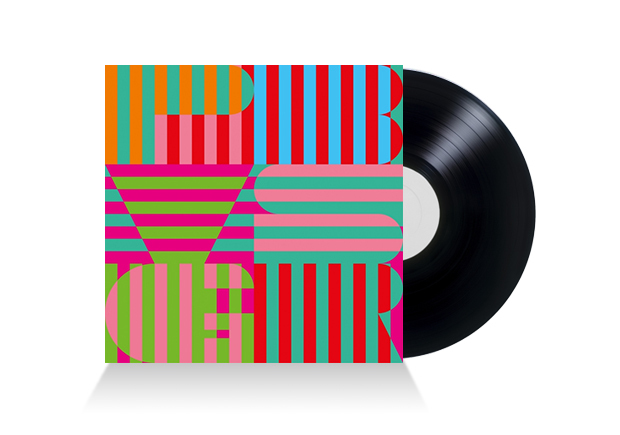 Panda Bear is back to embracing samplers and electronic elements, and the sounds he produces on this album put his new tricks on display. Check the gurgling beat behind Come To Your Senses, or the mystique of Butcher Baker Candlestick Maker. But on every track bar one, he employs the same vocal techniques he always has (double tracked with lots of reverb) leaving one wishing it were an instrumental album instead. The exception is Tropic Of Cancer, an exquisite ballad set to a plaintive harp sample that sees Panda adapt his voice into a sort of croon. Given the album’s title, one would be forgiven for thinking this album would feature darker material. Instead, it’s another set of standard Panda Bear songs. Which is okay; he is a fine pop craftsman and fans will find something to love. But from a member of one of the most unpredictable bands of the modern era, the whole thing seems like a let down. 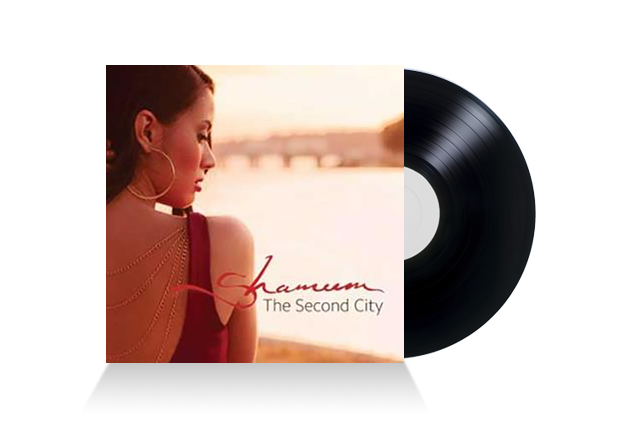 With a variety of background and influence behind her, Perth artist Shameem has continued on her mission to produce lyrically-strong music on her sophomore release, The Second City,whilst evolving her sound into a pop-friendly approach that is bubbly, uplifting and settling. Fusing R&B grooves with some jazz elements and a powerful and unlimited voice, Shameem has composed a list of tracks that flow smoothly despite the occasional interlude interruption. Opening track, Beautiful Soul, is immediately catchy with light piano fills and a solid drum beat. It’s the combination of well-placed minor layers that lead to the bigger picture and Shameem has worked them together perfectly to build to a strong chorus highlighted by her soaring vocals and a well executed message. Other memorable moments include the gospel harmonies within Under One Sun which was written in collaboration with Grammy-winning producer James Bryan (Nelly Furtado, Olly Murs, James Morrison) and Other Half Of My Heart, which features Astrid Ripepi, is also a high point sticking to a slower pace with a comforting and driving vocal duet. Identical twin sisters Lisa and Jessica Origliasso appeared to burst onto the scene with so much youthful enthusiasm that you would have thought that they had just left the playground at their Brisbane pre-school. Despite being a player on the international charts, the last time that The Veronicas released an album was so long ago that Taylor Swift was still a country artist. The delay of six years has been attributed to a breakdown in relationship between their previous label and the band which saw the siblings sitting in limbo. The self-titled third album has The Veronicas broadening their palate as they jump across genres and showcase their journey whilst being trapped in musical purgatory. 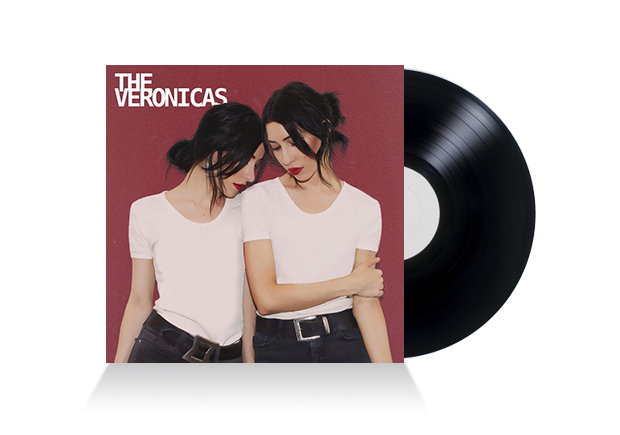 The Veronicas is a diverse (and somewhat chaotic) collection that manages to feature both the highest and lowest points of their careers to date. You Ruin Me is an almost perfect power ballad that is like an arrow to the heart, yet I’m A Veronica is meant to be a statement of intent and is relatively tuneless and turgid. Most experiments work though with Cruel being somewhere between Rick Springfield and Katy Perry, and You And Me a sweet little folkish reminisce. The Veronicas has the Origliasso twins saying goodbye to any semblance of the teenage punk that was hinted at on their debut and sees them push the boundaries of their pop sensibilities. Maturing voices give the tunes some extra bite that should see their songs doing the talking instead of the tabloids.